Mount Kilauea, The World's most active volcano is a shiled volcano. What are the three main volcanoes? 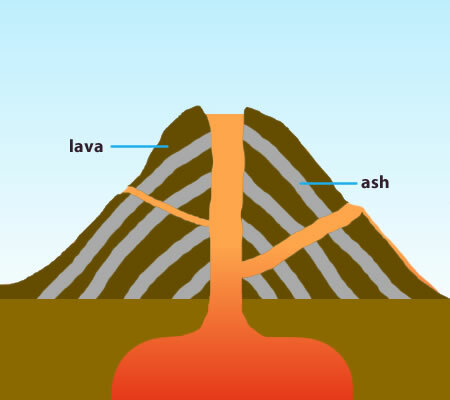 There are three main types of volcano - composite or strato, shield and dome. Composite volcanoes, sometimes known as strato volcanoes, are steep sided cones formed from layers of ash and [lava] flows. The eruptions from these volcanoes may be a pyroclastic flow rather than a flow of lava. A pyroclastic flow is a superheated mixture of hot steam, ash, rock and dust. A pyroclastic flow can travel down the side of a volcano at very high speeds with temperatures over 400 degrees celsius. Composite volcanoes can rise over 8000 feet. 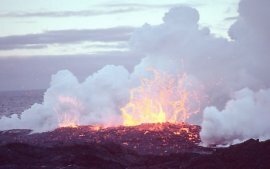 When composite volcanoes erupt they are explosive and pose a threat to nearby life and property. Eruptions are explosive due to the thick, highly viscous lava that is produced by composite cone volcanoes. This viscous lava has a lot to do with why they are shaped the way they are. The thick lava cannot travel far down the slope of the volcano before it cools. Shield volcanoes are low with gently sloping sides and are formed from layers of lava. Eruptions are typically non-explosive. Shield volcanoes produce fast flowing fluid [lava] that can flow for many miles. Eruptions tend to be frequent but relatively gentle. Although these eruptions destroy property, death or injury to humans rarely occurs. Acid [lava] is much thicker than [lava] which flows from shield volcanoes. 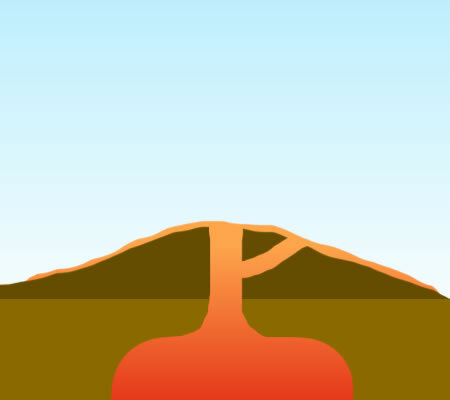 Dome volcanoes have much steeper sides than shield volcanoes. This is because the lava is thick and sticky. It cannot flow very far before ot cools and hardens. An example is Puy de Dome in the Auvergne region of France which last erupted over 1 million years ago.